This is a short 2-minute video explaining what is the Tinusaur project about, who is it good for and what you could do with its microcontroller and shield boards. The Tinusaur is a small microcontroller board with a tiny chip on it. The Tinusaur board is powered by the popular Atmel ATtiny85 microcontroller. It comes as an assembly kit: a small package with parts – you get the chance to learn how to solder it. Don’t worry, it isn’t that complicated. This circuit is so simple that there are very few things that could go wrong. Once your mainboard is ready you could start learning by making and playing using our shield boards. Our shield called LEDx2 has 2 LEDs – Green and Red. It comes also in parts, so you have to assemble it yourself. You can make its LEDs to blink. For example: like the traffic lights. We also have the EDUx4IO shield designed primarily for education. It has 4 different components on it: LED, Buzzer, Button, Photoresistor. With the LED and the Buzzer, you have 2 ways to output digital and analog signals. With the Photoresistor and the Button, you have 2 ways to input digital and analog signals. There is also temperature sensor built into the ATtiny85 microcontroller chip. 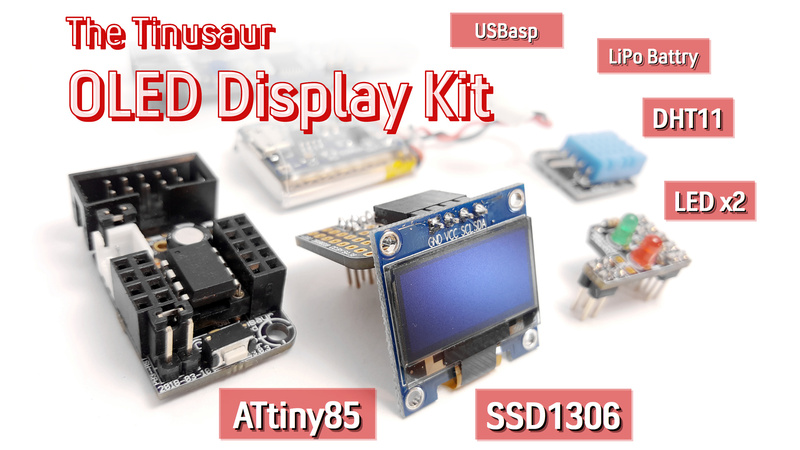 This Saturday, September 2nd, we will have one day workshop for assembling the Tinusaur kits for those who supported our Indiegogo crowdfunding campaign. It will take place in Varna, Bulgaria, our host will be VarnaLab – the local hackerspace. We will learn the basics of electronic components, microcontrollers – ATtiny85 in particular and, of course, how to solder. We will bring to the workshop soldering irons and all the necessary materials to do the job. Also, for those who were not able to get one of the kits during our Indiegogo campaign, we will have some for sale. If you’re around, you’re welcome to come. Where is the Tinusaur project used? The Tinusaur Project is already getting traction in the field of the Formal learning. In 2016 it was considered and later officially selected as the platform for the “Microcontrollers and embedded devices” class in St. Cyril and St. Methodius University of Veliko Tarnovo, in Bulgaria. It is now part of the curriculum. As part of that effort, we ran a quick funding campaign and successfully collect all the funds necessary to produce Tinusaur Starter EDU PLUS for each student so they can have on for free, assemble, program, and take them home. It was a huge success – all the students loved it. In 2016, as part of a government-funded initiative “Tvoyat Chas” (in Bulgarian, eng. : “Your Class”) the Tinusaur Project was considered and later chosen as one of the kits to be used for high school students – age between 15 and 17. They just loved it. The Tinusaur Project is very popular in the field of the Informal learning for it is very affordable, easy to learn and work with. In 2016 as part of a summer school of science organized by UNI4KIDS the Tinusaur Project was used in the electronics, microcontroller and robotics classes. Children of ages between 11 and 17 had the chance to learn how to solder, assemble their very first microcontroller board and program it. It was an incredible experience to work with such smart and motivated young people. Since 2014 we’ve been organizing 1 or 2-day training workshops where people could get a Tinusaur kit, learn how to solder and assemble it, and write their first microcontroller programs. On quite a few occasions colleagues of ours bundled Tinusaur Starter 2 kits as part of event gifts or prizes. What a great idea to give something to people that they can use to improve their knowledge and skills. The last on the list but with the highest slice of the pie are the hobbyists. The number of boards we’ve shipped worldwide will soon reach the number 2000 and most of them go to people who would like to learn and make things with microcontrollers and create internet-of-things. The Tinusaur is the perfect start. We ran 2 Indiegogo crowdfunding campaigns. One – very successful, and the other one – semi-successful. That helped us a great deal. First, it proved that the Tinusaur project is something that people like and want to use, and second, it allowed us to start the production on a bit larger scale. We would like, with the help of sponsors, to be able to send Tinusaur kits in parts of the world where people may not be able to afford to buy them. The Tinusaur is very, very inexpensive but still … it may not fit in the budget for some people. So, if you’d like to help please get in touch with us. We’re open for ideas. A small board with a tiny chip on it that comes as an assembly kit – a small package with parts and you get the chance to learn how to solder it. This circuit is so simple that there are very few things that could go wrong. It’s been around for over 3 years and used in schools and universities to educate young people in both hardware and software. 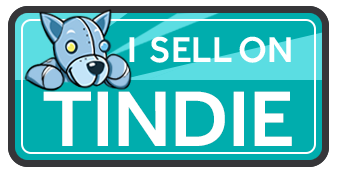 With this campaign, you could help us produce more of the Tinusaur boards, bring the cost down to $3 per basic “lite” board and allow more people to be able to get them. The Tinusaur boards are powered by the Atmel ATtiny85 microcontroller. You could program your Tinusaur board with the Arduino development environment, or if you chose so – using the plain old C/C++ compiler, or … using whatever you prefer. The success of this campaign will help us produce our boards and kits in much larger quantities and bring the coast down. That will allow us to have the basic “lite” boards for as little as $3/pcs – that will make them available for even more people. Help us spread the word – just share it. But, if you like the idea and the project, you could back us up. Here’s the link: https://igg.me/at/tinusaur. Over 20 workshops, lectures, seminars, courses. One Indiegogo campaign. Hundreds of people started using the Tinusaur platform. Our Q1 goal: Launch new Indiegogo campaign in February to produce 1000 Tinusaur kits and bring the cost down to $2 per basic kit. This will make our boards available and affordable for everyone. For Learners – Learn how to program microcontrollers. Assemble one yourself. For Educators – Teach others how to work with microcontrollers. Help them assemble one themselves. For Makers – Build things with tiny microcontrollers. Use your creativity under the constraints of the Tinusaur platform and share it with the community. This is a short guide how to setup the Arduino IDE to work with the Tinusaur boards. What it does basically is to make it work with the Atmel ATtiny85/45/25 microcontrollers. The only difference is that it will appear on the list of boards as Tinusaur – this is done for convenience, so relatively inexperienced people won’t get confused by the long list of unknown boards and microcontrollers. First of all, we need the Arduino IDE itself. It could be downloaded from https://www.arduino.cc/en/Main/Software – the official Arduino website. The current version at the time of writing this guide was 1.6.8 but should work with all the most recent versions. Start the Arduino IDE first. Go to the menu File / Preferences. Find the “Additional Boards manager URLs” and the button on the right that will open an edit box. NOTE: It is possible to have multiple URLs as long as they are put on separate lines. Close the edit dialog by pressing “OK”. Close the “Preferences” dialog by pressing “OK”. Go to the menu Tools / Board:… / Boards Manager. This will open an additional dialog window with boards information. You may need to wait until all data is loaded. From the drop-down menu “Type” choose the “Contributed” item. Locate the “Tinusaur Boards” item and click on it. Press the “Install” button. That will install the necessary files into the Arduino IDE. Close the dialog by pressing the “Close” button. The Tinusaur should be available somewhere at the bottom of the list. Choose the Tinusaur. It is important to setup the other parameters for the board. Go to menu Tools / Processor:… and choose the appropriate CPU type. If unsure choose ATtiny85. Go to menu Tools / Clock:… and choose the appropriate CPU frequency. If unsure choose 1 MHz. Go to menu Tools / Programmer:… and choose the appropriate programmer. If unsure choose USBasp. Another version of this guide but with screenshots is available at the Arduino IDE Setup page. Our first workshop for this year took place couple of weeks ago in Plovdiv at Hackafe. It was part of a much larger event about microcontrollers, robotics and internet-of-things. This time, it was for 2 days and in 3 parts. Part 1 (day 1) was an introduction to the microcontrollers for everyone that was just starting – short 30 minutes presentation and then discussions about various problems that one may experience while working with input/output. It was interesting to see some observation by people that have no much experienced about buttons and the noise that they may produce, then … how do we do debouncing. Part 2 (day 2) was soldering. Everyone got Tinusaur Starter 2 kit. No one had difficulties assembling the board – there’s no much you can get wrong with this board. One of my friends shot a timelapse at one of the tables. Part 3 (day 2) was the fun part. We wrote the blinking LED program – that was easy. As it is an old Bulgarian custom to wear Martenitsa in March we made some blinking ones with the Tinusaur. We also managed to play polyphonic tunes using ELM – Wavetable Melody Generator. But the most unusual thing we did was to make an old floppy disk drive play a melody. Thanks to Vencislav Atanasov (https://github.com/user890104) for the idea. The inspiration was from Moppy – the Musical Fl oppy by SammyIAm. We have recently launched a Tinusaur crowdfunding campaign at Indiegogo so if you like what we’re doing please support us at http://igg.me/at/tinusaur.